Jackson State Pre-Alumni Council leaders are focusing on growing the organization by educating other students on the importance of engagement, service and philanthropy. “If we condition our peers to giving now than the possibility increases for them to give back once they actually graduate,” says Cadaris Waits, PAC President. 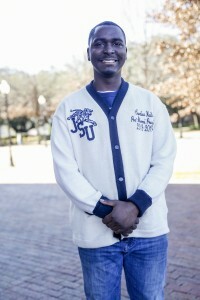 The purpose of the PAC is to assist students with creating a lifelong connection with Jackson State during their student tenure and to become active alumni once they graduate. The organization encourages students to become effective alumni while enrolled in college and provides its members with the opportunity to give their time, talents and finances to support their alma mater. 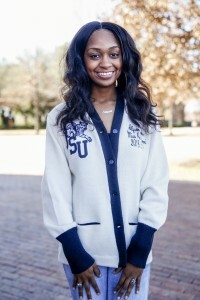 “Networking with Jackson State alumni is essential to our personal and professional growth as students and future alums,” Allyson Brooks, Miss Pre-Alumni 2018-19 said. Members of the council are expected to encourage a culture of philanthropy by hosting special events and coordinating fundraisers. 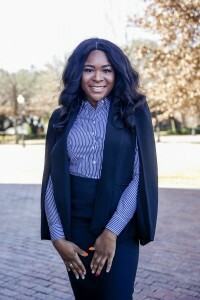 The vice president of PAC, Courtney Jones reflects on her first year as a member. “It’s our duty to mend the gap between our peers and the alumni,” says PAC vice president Courtney Jones. The PAC advisor Connie Childress says she is consistently educating her members on the importance of service. Beginning this month, members of the council will provide personal care packages for three area homes as a part of their community service project. Student membership for the Pre-Alumni Council is $30. The fee includes a membership card with 10% off in the JSU bookstore, a council t-shirt and numerous opportunities to network with members of JSUNAA for jobs and internships. To become a member of the Pre-Alumni Council, click here or contact Connie Childress at 601.979.2942.